Los Olivos, California is a quaint little town that's nestled in the heart of the Santa Ynez Wine Country. 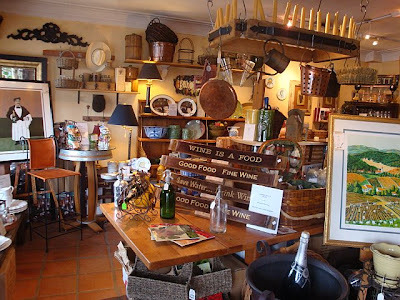 When you need a break from all of the wine tasting, these are a couple of stores I would suggest that you should check out...I call it the "Must Stop Shopping List for Los Olivos!" 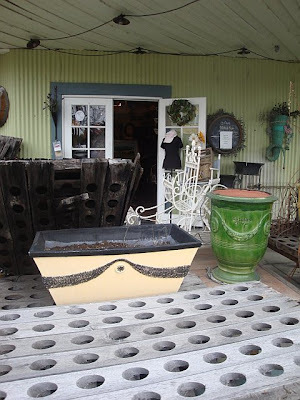 If you are in the market for home goods, make sure to head to the Wine Country Home store. This is the place to find anything that's related to wine for your home like beautiful wine glasses, a wine rack, fancy bottle corks, or wine openers. There's also other great home goods like place mats, furniture, pretty paintings and some antiques. If you have an outdoor space (like a patio or backyard) where you live, then you will probably love some of their planters and Adirondack chairs...don't worry, they do ship! 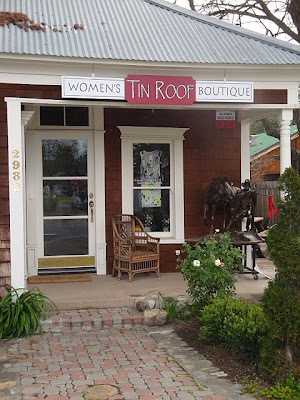 Next, visit the Tin Roof Boutique. This women's clothing store has been voted "The Best Clothing Store of the Valley" four years in a row. It's the must stop shop for clothing, shoes, jewelry and accessories. 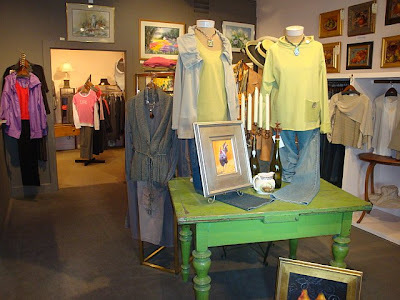 What I love most about this store is that they carry both well known designer brands like Velvet, C&C California and Ella Moss, but they also have beautiful things made from local designers that you won't find anywhere else...so if you are looking to find a unique necklace, earrings, or a top...this is the spot! 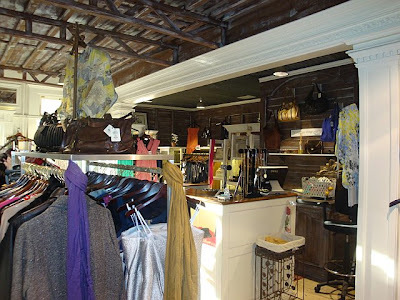 The style of what you will find at the Tin Roof Boutique is very California...easy to wear clothing with lots of basic wardrobe-building pieces, but also lots of fun, colorful and different pieces and tons of fun accessories to complete the look. This store reminded me a lot of one of my all time favorite stores- Anthropologie. I very easily could have done a lot of financial damage in this store...I wanted everything I saw! 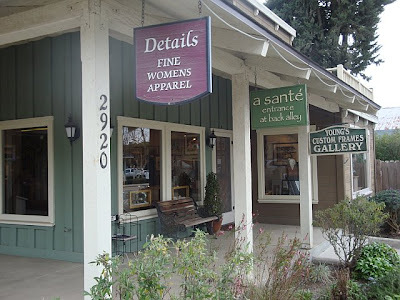 Another clothing store in Los Olivos that is worth paying a visit to when you are there is Details Fine Women's Apparel. I have to say that I was a bit skeptical at first if I would find anything that I like in this store, (I thought it catered more to something my mom would be in the market for than me) but I am so glad that I went in because they carry beautiful clothing, jewelry and handbags. 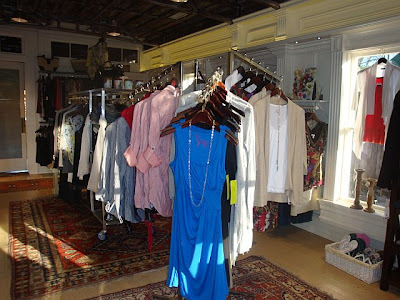 If you are looking for some classic pieces like a "go-to" sweater, or a wrap or shawl, you will certainly find it here. 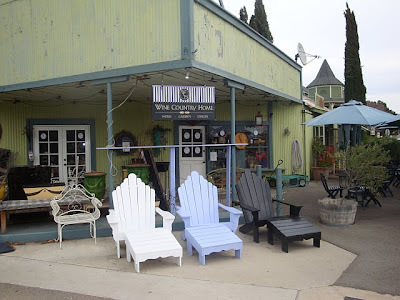 Los Olivos is a charming and historic town, so even if shopping is not your thing, make sure to go if you are in this neck of the woods, because there's also wine tasting shops, art galleries, and great restaurants. Los Olivos has now become one of my most favorite spots that I have jet setted to!